I think that it is a good item. Because it is a heavy-duty car, we use 10 pieces so this price is delightful! This review is about item#86341534. Better balance between quality and performance thanks to price, making it durable. This review is about item#37165615. There are requests to buy 10 units from factory workers, we purchase little by little monthly. I plan to purchase 3 more units on the campaign day (haha) I think it's a good item. This review is about item#37165597. 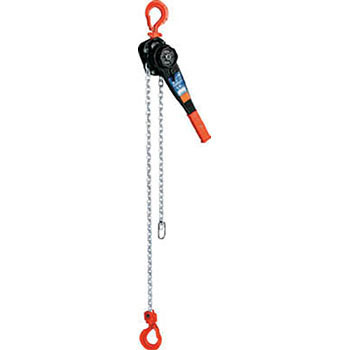 The domestic Leva - Hoist is expensive and it uses a lot Many headache problems such as our company However inexpensive products such as made in China are not durable and are not safe to use. Although I used an item of an elephant marker purchased from another company before, but since there is no problem, I think that it is good for now. It has good operability and is also solid in function. Thanks for the quick delivery. · I am currently using it, but I think that the weight is a bit heavy. After that, I think how durable it is. I purchased it last year, it was pretty easy to use, so I did it. It is nice to turn around lightly as "Kurukurukurukuru ~" when you made it free. The chain runs smoothly and it never chews. Until a chain is established to some extent, I will return if I do not subsidize the dial by hand, but I think that it is cheap and easy to use.